This page is written by the game's inventor, martin rinab. 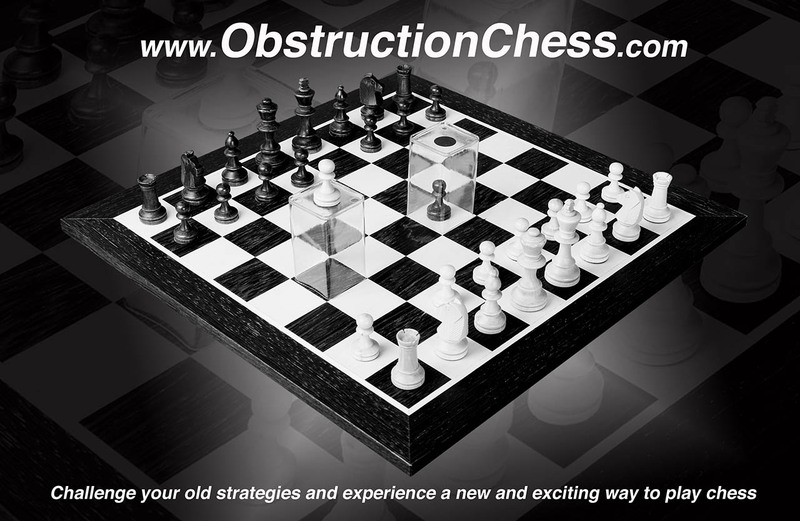 ObstructionChess is a new Chess Variant developed to challenge your old strategies and improve your chess play by introducing logical and organic Obstructions that will require fresh new approaches to reach the classic goal of "CheckMate". ObstructionChess introduces 3 different and independent obstructions, which means that ObstructionChess is really 3 different Chess Variants, each with itâ€™s own progression from easy to advanced. The 3 Obstruction Types are Barricades, Traps & Bridges and they all utilize the same game piece. The game includes 4 game pieces, while 2 of them are color coded to be assigned to each player for more advanced plays. 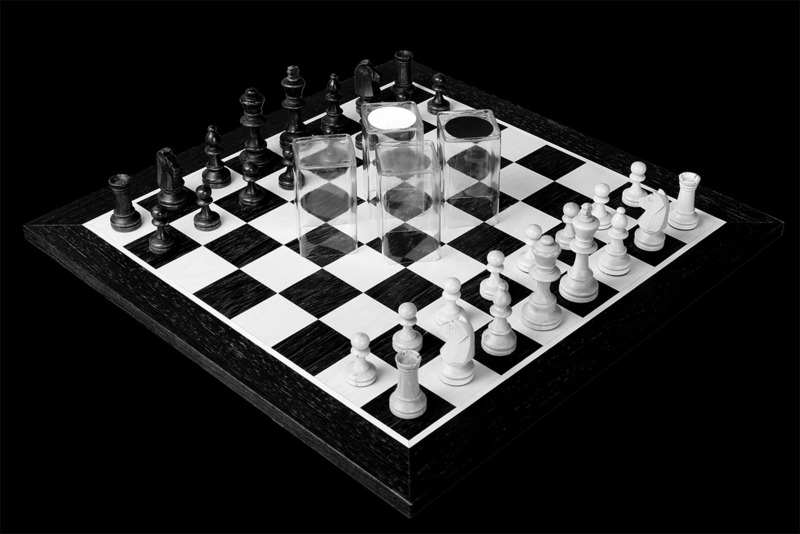 The easiest variation is BarricadeChess where we place 1 or 2 static Barricades onto the board and the players play their regular chess game while having to navigate around the Barricades. This will immediately change the dynamic of the game as the space on the board is now restricted. 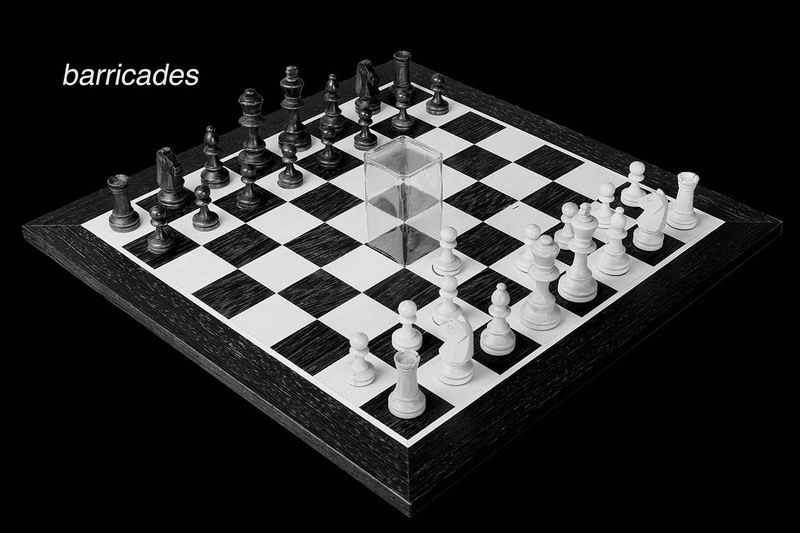 In the more advanced versions of BarricadeChess the Barricades can become dynamic as well as assigned to the players. TrapChess is the next variation and will allow the players to trap the opponents pieces. Again the progression is from easy, with one shared dynamic Trap to the more advanced play of using 2 dynamic assigned Traps. BridgeChess is the most difficult version of ObstructionChess as it adds a third dimension to the game. Players can navigate under,over or through bridges and 2 chess pieces can occupy the same square. Having Obstructions on the board that can be controlled by the players opens up completely new ways of playing while at the same time retaining all classic chess rules - this will challenge your old strategies and will improve strategical thinking. ObstructionChess introduces a unique add on piece that doubles as either a Barricade, Trap or Bridge. The game come with a total of 4 game pieces, of which 2 are color coded to be assigned to the players. All rules are outlined in the ObstructionChess manual. ObstructionChess is currently available at the largest American Chess Store and website ChessUSA.com as well as on our own website obstructionchess.com. Obstructionchess comes in 2 most popular chess board sizes: Executive and Tournament.